Do you need court permission to relocate with your child after divorce if the other parent agrees? Do You Need Court Permission to Relocate with Your Child After a Divorce if the Other Parent Agrees to the Relocation? During or after a divorce, parents usually move on with their lives. In our mobile society, this often involves a geographical move. The motivations for moving are diverse. Commonly, a divorced parent may want to move to a new community for a new, more rewarding job, to be closer to other family members, or perhaps to enjoy a relationship or new marriage with a person living in the new community. 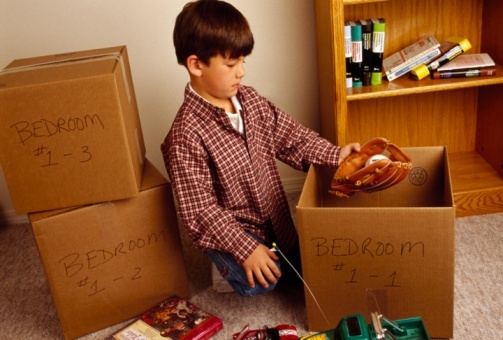 When the parent wants to take the child with them in the move, they may be shocked to learn that court approval of the relocation must first be obtained, even if the non-relocating parent agrees to the relocation. Under Florida law, once a divorce petition is filed by either parent, the child cannot be moved 50 miles or more away from their current residence for 60 consecutive days or more. If the move takes place before the divorce petition is filed, there is no law that allows a parent to relocate their child. If the non-relocating parent agrees to the child’s relocation, the procedure for obtaining court approval of relocation is pretty simple and straightforward. First, a written relocation agreement must be prepared for filing with the court. The written relocation agreement must include language showing the consent of both parents to the relocation. The written agreement must also include a time-sharing schedule for the parent who is not relocating and describe the transportation arrangements for the time-sharing schedule, including who will pay for the transportation costs. The written agreement is then filed with the court. If neither parent requests a hearing in writing within 10 days after the agreement is filed, the court can enter an order ratifying the parents’ relocation agreement. The relocating parent and child are then legally free to move to their new community. An experienced family lawyer or an experienced custody lawyer can help you prepare this agreement, file it with the court, and obtain the court’s approval for the relocation. Previous PostWhen Do I Need a Valuation Expert in My Divorce?Next PostHow do you get Permission to Relocate if the Non-custodial Parent Does Not Agree?